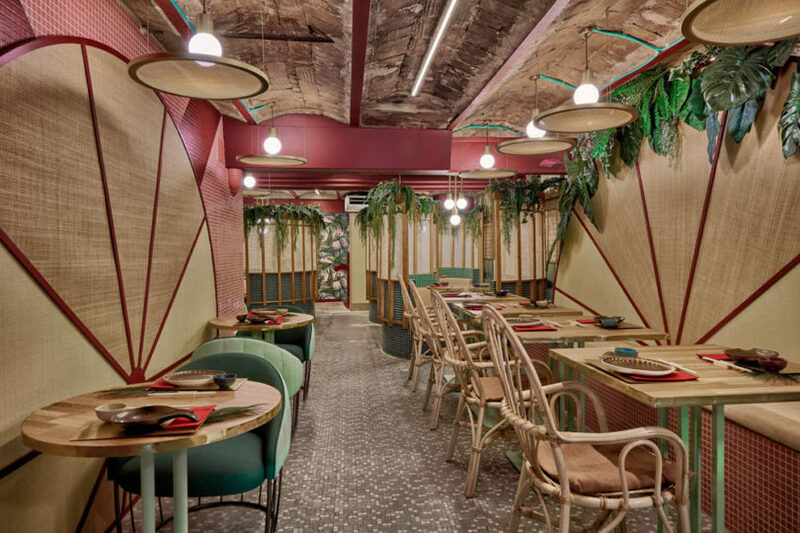 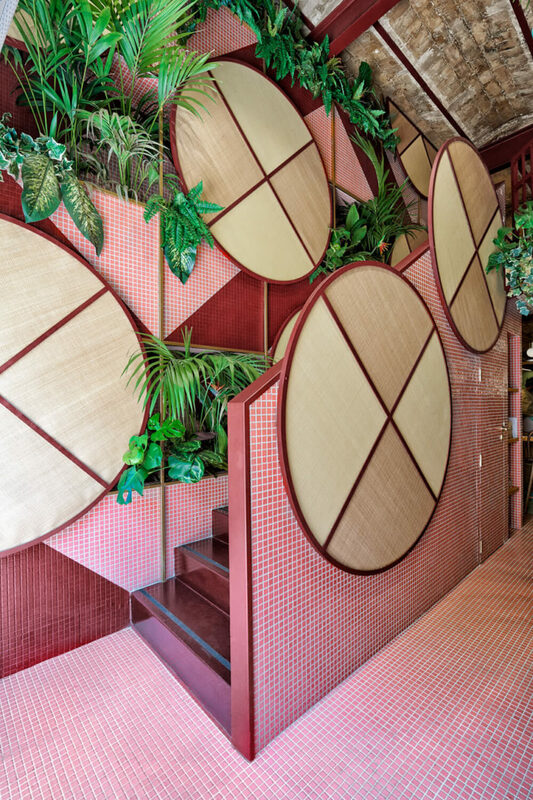 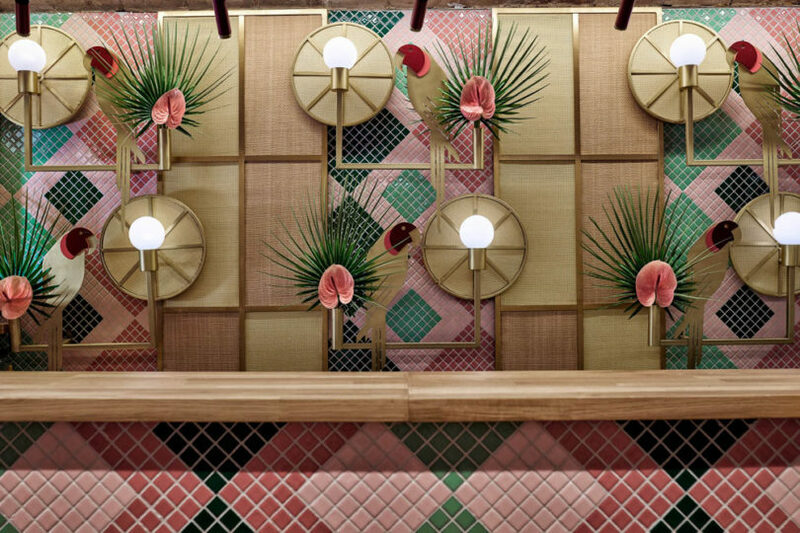 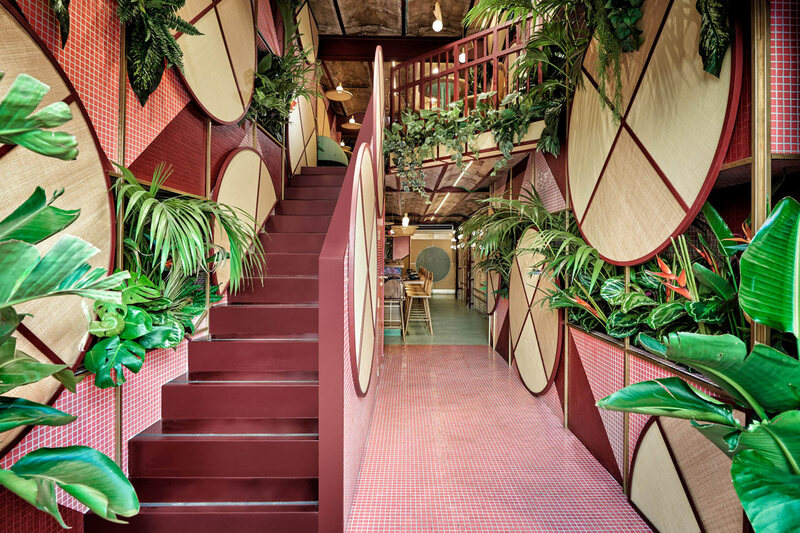 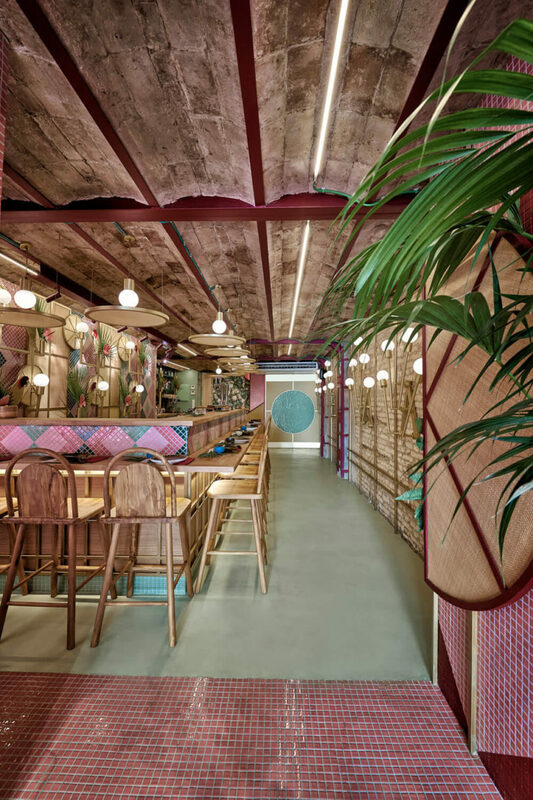 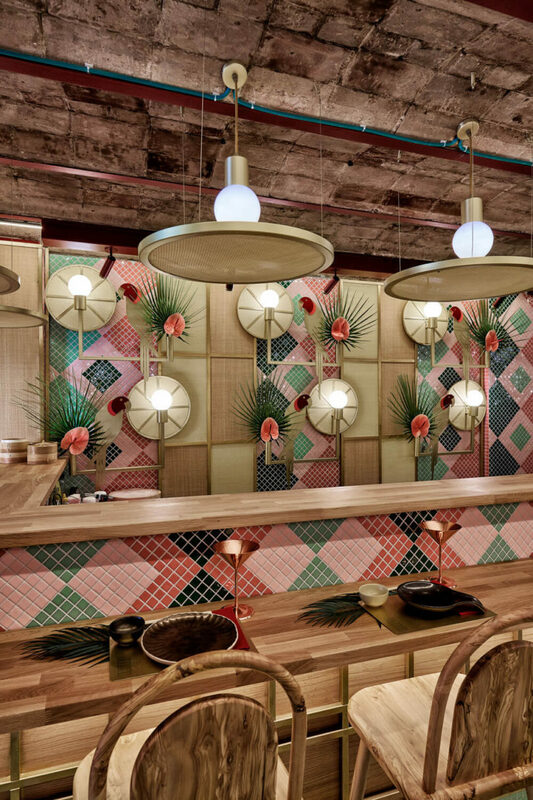 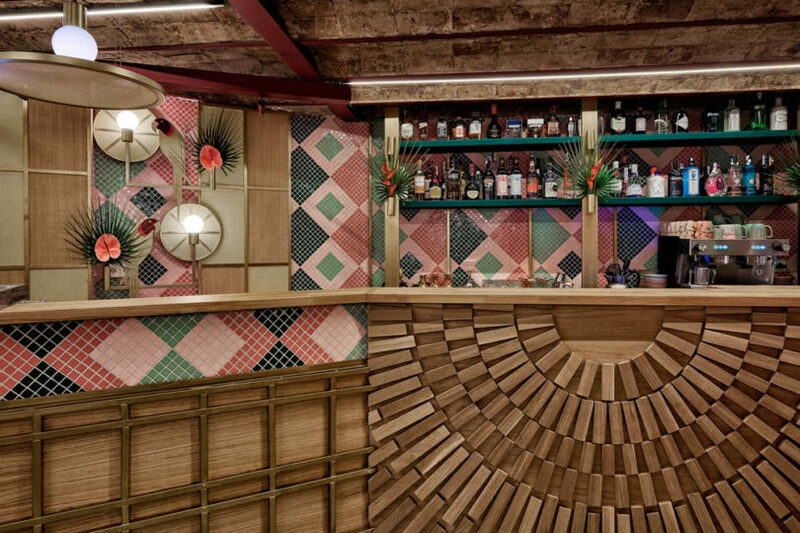 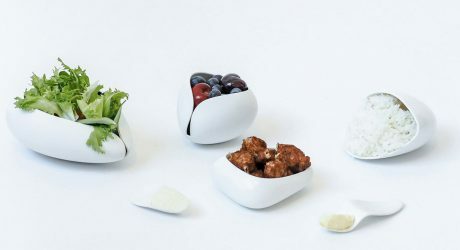 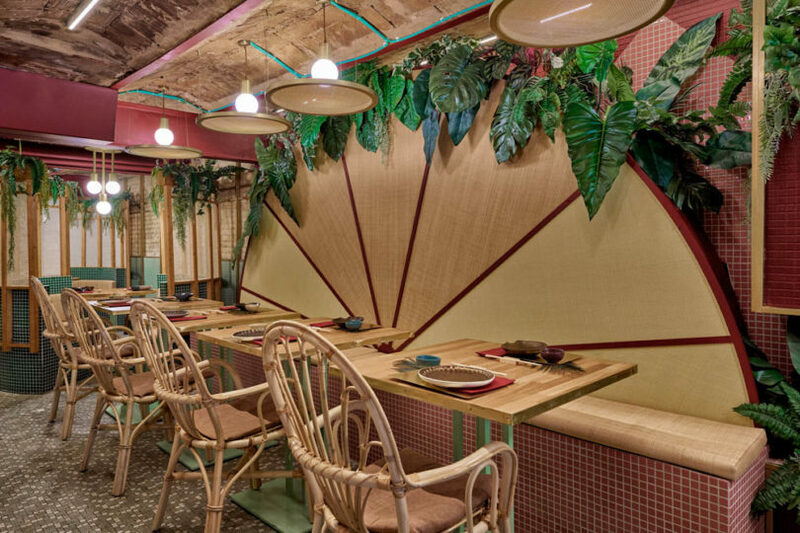 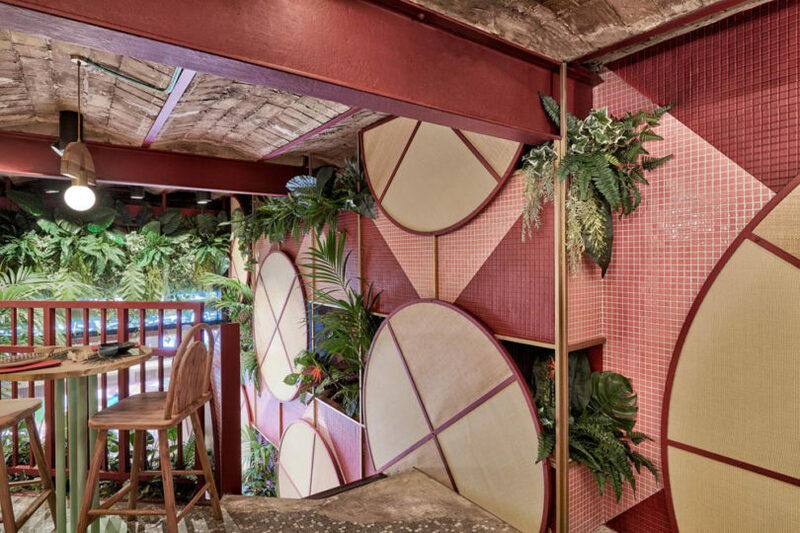 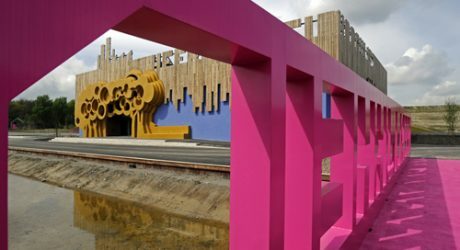 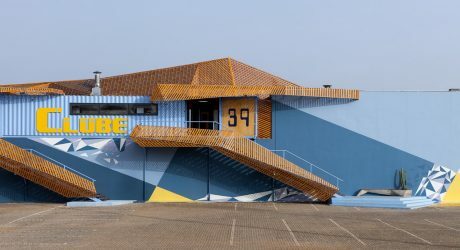 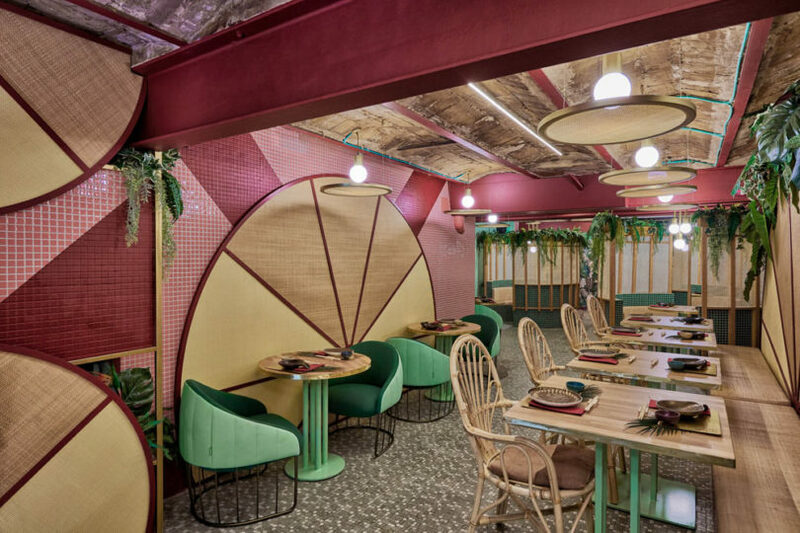 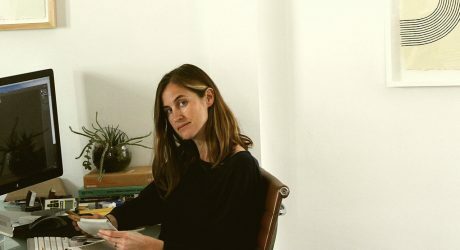 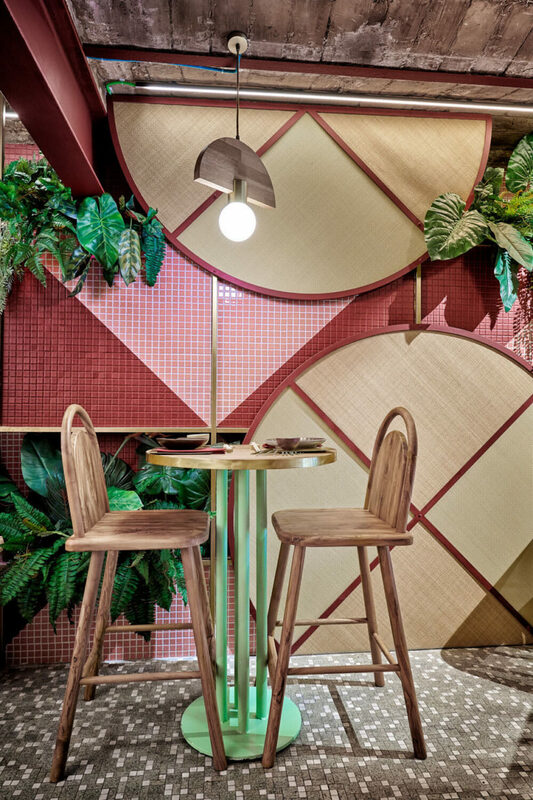 When an avid surfer wanted to open the first tropical sushi restaurant in Valencia, Spain, she reached out to Masquespacio, a design studio known for their colorful and sometimes quirky interiors and furnishings. 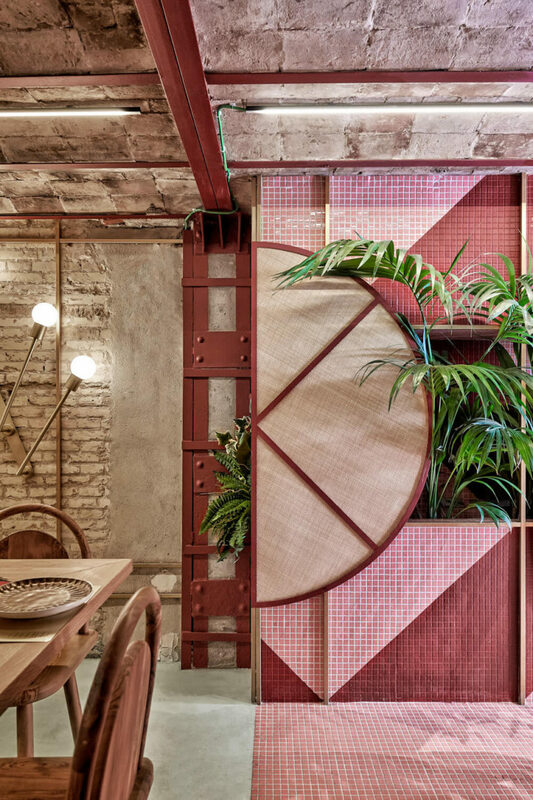 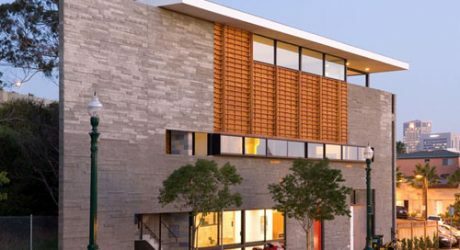 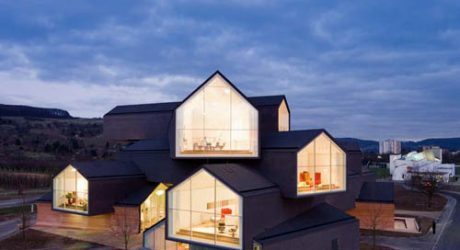 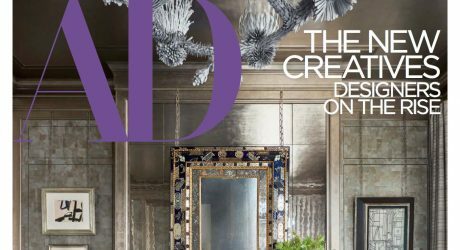 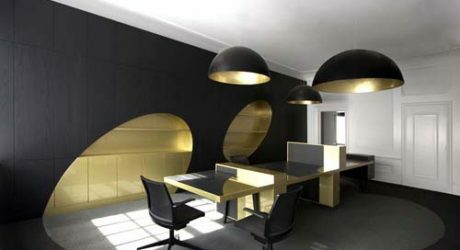 The goal for the design was inspired by the owner’s life when she lived in Brazil, along with a touch of Japan. 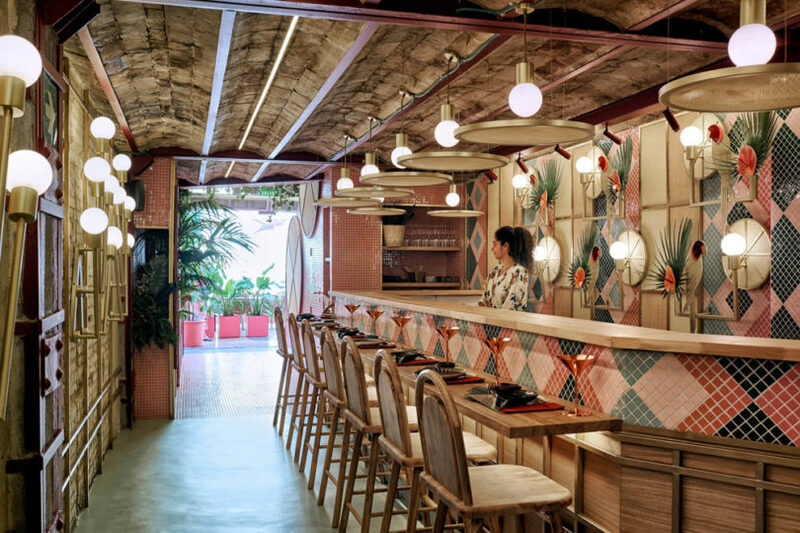 The finished Kaikaya features bold colors and an eclectic style that result in a relaxed and casual atmosphere for pure gastronomic enjoyment. 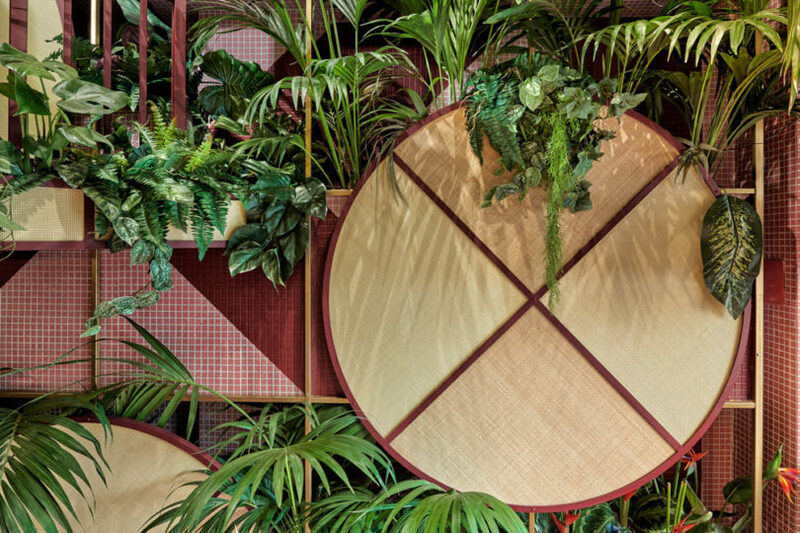 Circles of raffia reference the kasa hats that Japanese workers wear in the rice fields. 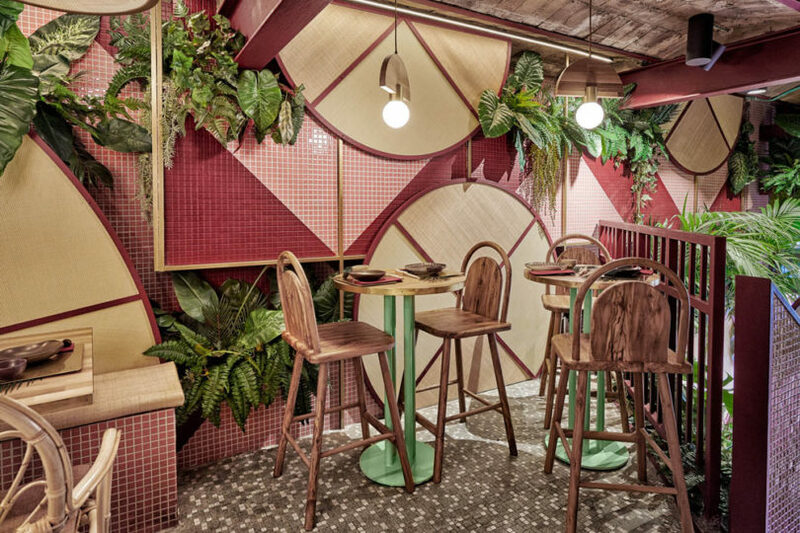 Tropical plants are interspersed in empty pockets adding to the Brazilian vibe. 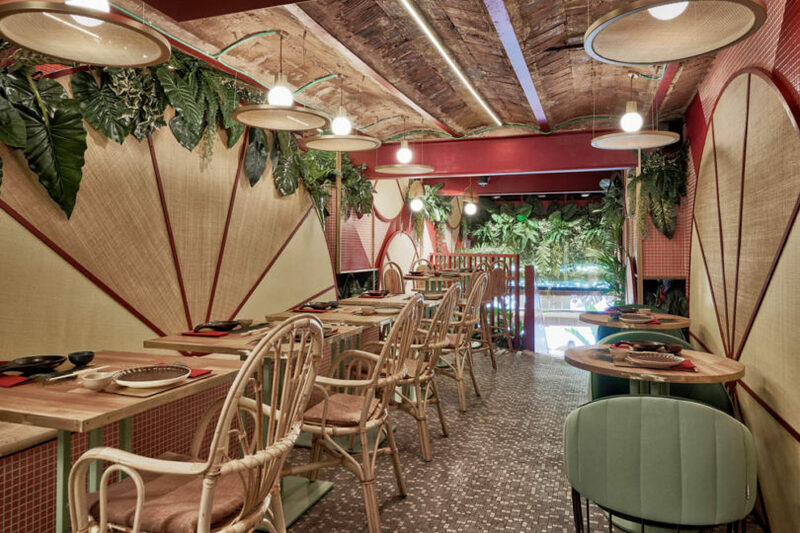 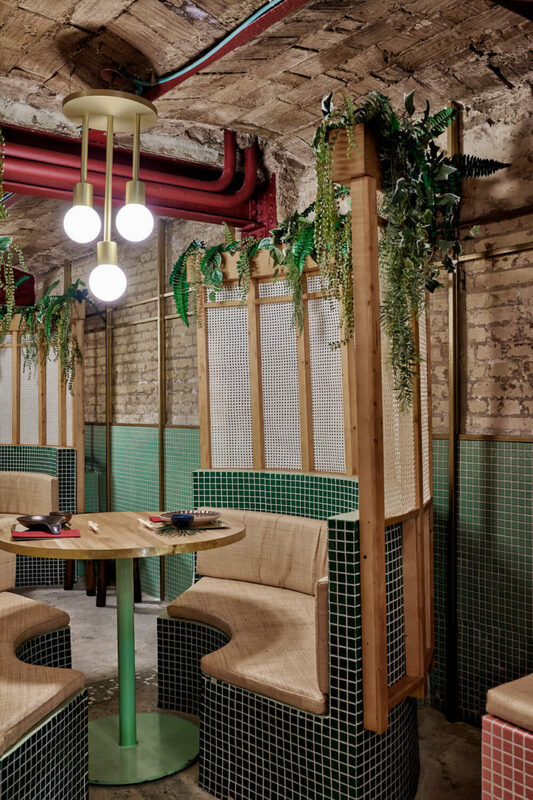 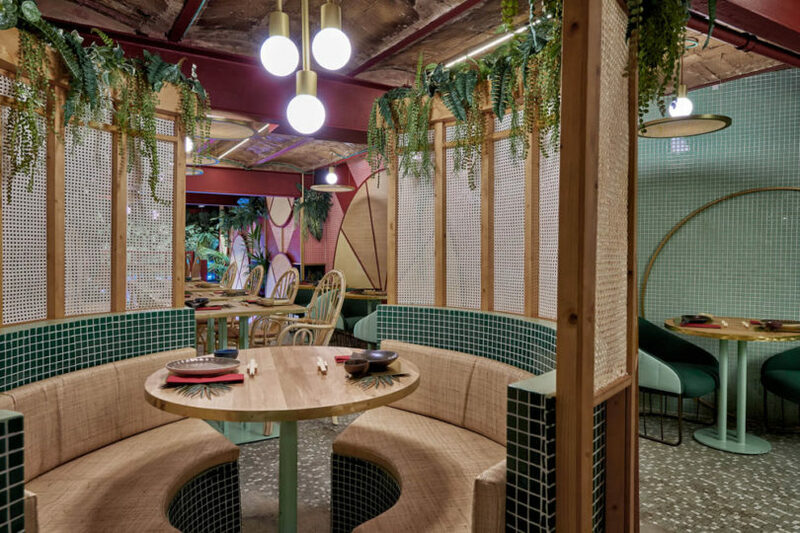 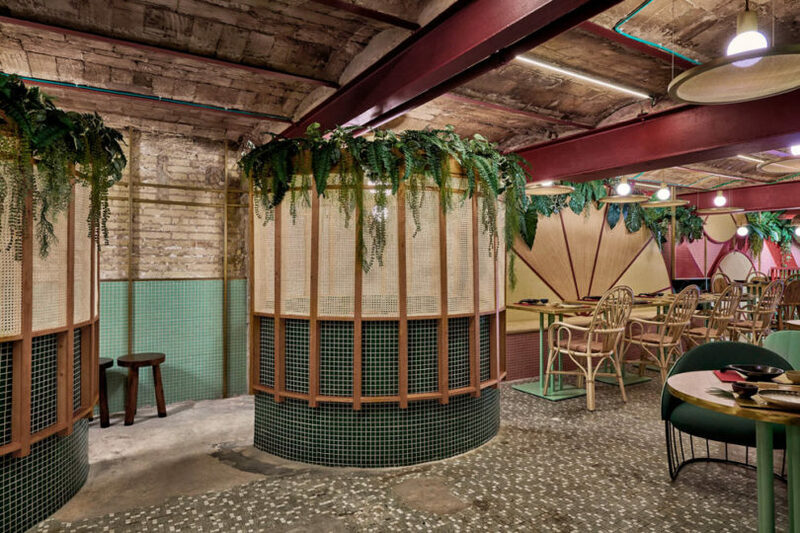 Kaikaya’s fusion menu is reflected in the restaurants decor where Masquespacio merged traditional and methodic elements of Japan with the tropical and exotic flavors of Brazil and then dropped them in the center of Valencia. 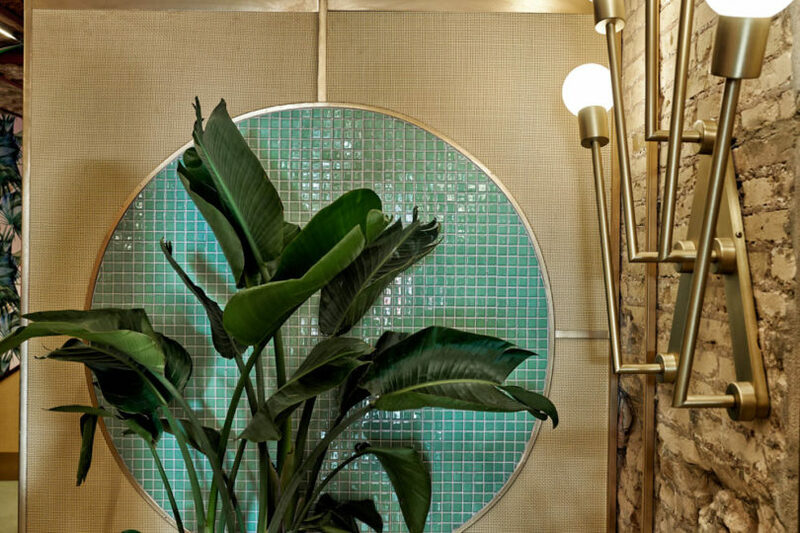 A festive palette of colors make the tile patterns pop, while wood and raffia elements bring a level of nature that’s finished off with lots of green plants. 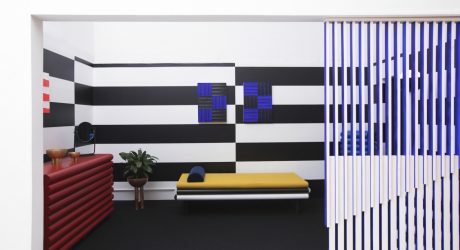 This bookable + bespoke hotel suite celebrates design, color, and art and will debut at Sight Unseen's OFFSITE exhibition. 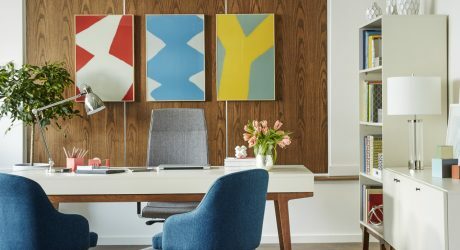 Utilizing iPads, Morpholio Board and other intelligent software, you can design, present and document work from anywhere.